It’s clear we will be facing an environmental disaster if we don’t start taking care of our planet. 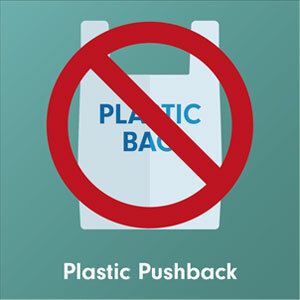 Brands are under immense pressure to make changes to how and what we consume, particularly on the issue of plastics. We’re seeing some great initiatives coming through from leading brands removing plastics from their packaging but we need to see more. The idea of reusability is key, as a nation we throw away 2.5 million coffee cups each year and only recycle around 1% of them. We are seeing coffee shop chains incentivising customers with discounts for those who bring reusable cups to store. Waitrose too has now removed all of its disposable cups for free coffee for My Waitrose card holders; those shoppers now have to bring in a reusable cup to receive their beverage. Retailers making clear statements like this on the environment will be rewarded with brand loyalty; similarly manufacturers will need to ensure packaging is kept to a minimum and biodegradable to keep savvy shoppers happy. New brands coming into the market will want to ensure they start high on the ethical ladder and work hard to meet environmental standards if they want to succeed, particularly as government guidelines will become stricter this year. The last year has unfortunately seen devastating incidents over the issue of clear labelling and communications on product packaging, affecting both manufacturers and retailers. These have attracted huge and understandable media attention. 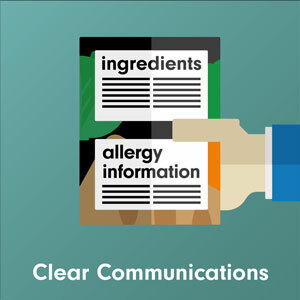 Processes for agreeing labelling, particularly in relation to allergens, need to be improved alongside a legal push that will govern what should be clearly communicated on packaging. We predict this will be a key focus area for 2019 to avoid the tragic incidents of the past year. Consumers will be actively looking for any mistakes in labelling and will highlight these very quickly, so manufacturers need to ensure they are one step ahead. Labelling should be clear and comprehensive at point of purchase as well as on packaging. This is a question of reputation for both retailers and manufacturers, in an ever increasing competitive market trust is one of the key criteria we use to base our purchasing decisions on. The UK market has been under consolidation for a number of years, and we see no immediate end to this trend in 2019. Last year saw mergers between Tesco and Booker, as well as Landmark and the Today’s wholesale group. This year will see the merger between Sainsburys and Asda, causing huge ramifications for suppliers and competitors alike in the battle for share and price. There is speculation that Amazon will buy into retail; to do this credibly in grocery they may look to buy out or merge with an established player (some industry insiders hint at Morrisons). Who will the eventual winners be here? 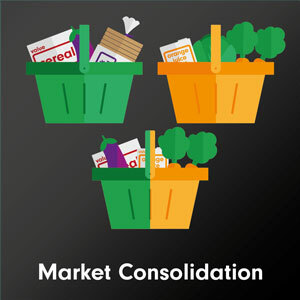 Supermarkets say the consumers will win out as pricing will come down; but if manufacturers have to cut costs to make margin, then this will have an impact on quality for the consumer and could potentially lead to job losses in the industry. Discounters are already steam rolling the UK market; the combined share of Aldi and Lidl is bigger than the UK’s fourth largest grocer Morrisons. From this perspective, the ASDA and Sainsbury merger makes sense as they combine their buying power, lowering their costs to consumers and fighting back against the discounters. Tesco have launched Jacks to compete and it remains to be seen how they will perform. Aldi and Lidl of course see themselves as supermarkets in their own right, with a commitment to low cost on high quality, but there is an undoubted success story for the hard discounters this year – such as B&M who posted a profit growth of 12% in the UK last year. As shoppers have become savvier about price, their shopping repertoire has broadened to five or six stores. Stretched incomes have put pay to traditional store loyalty; Kantar states 66% of us have visited a discounter in the last 12 weeks. 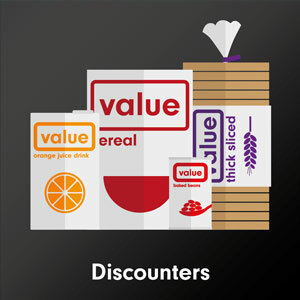 Expect discounters to continue to storm the UK market this year as they diversify into more channels. While consumers may be concerned with getting healthier, we still want to treat ourselves in moderation. 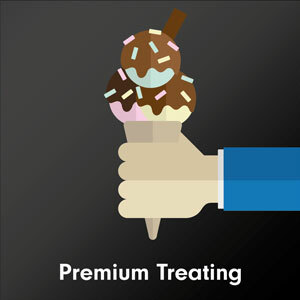 We expect to see growth and innovation in premium confectionery brands. While mainstream names reduce sugar to attract new or declining consumers, we foresee a movement towards treating in the premium end of the market where taste is king. We expect indulgent treats like chocolate to be reframed in terms of portion size or protein value – giving permission to indulge ourselves. At the same time we note that in an uncertain economic climate, shoppers also tend to head back to comforting favourites; while younger consumers are definitely discerning about the purchasing choices they make and which companies they buy from (we frequently see big companies buying disrupter brands but sitting them away from their core offerings), we should not discount the fact that for all of the marketing industry’s obsession with “Millennials”, our population make-up is heavily weighted outside that age bracket. There is still share to be had with this audience seeking out the brands they know, trust and get comfort from. Contact us today to find out how we can help you stay ahead of these trends.